Looks like you just missed this offer! However, join Shantihi's mailing list and we will email you a special code for 10% off your next purchase with us! GET 40% OFF CODE NOW! Retailing at $25.97. You pay ONLY $15.58 with your code. Did you know that by owning your own yoga mat, you are 3x more likely to commit to practicing yoga and begin your journey of healing and empowerment?  Shantihi means peace in Sanskrit and I created Shantihi because I wanted a brand that reconnects us back to our hearts, and not just a trendy fashion statement. Above all else, my ultimate mission is to create a movement that empowers women who are facing adversity to find strength and heal through the practice of yoga. I would love for you to join me on a yoga journey of healing and empowerment so take advantage of our crazy limited stock clearance with this 40% off our Shantihi Yoga Mats in any color to help you get started. Click the button below to get your code. Hurry as stock is limited! Have peace of mind that you are keeping yourself and the environment safe. This SSG certified eco premium TPE yoga mat is odorless, recyclable, hypoallergenic and free from harmful chemicals. This double-sided yoga mat’s anti-slip textured surfaces will keep you steady and grounded, regardless of which side you practice on. 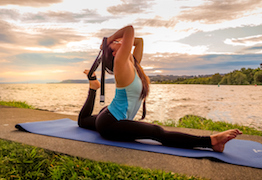 Lengthen your yoga mat’s life span and hold your poses with confidence. Cleaning is a breeze with your new mat. Its waterproof surface repels sweat, dirt and bacteria, making sure your mat stays germ and odor free. Simply wipe down with a damp cloth and allow it to air dry. 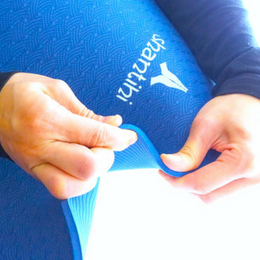 This dense anti-tear TPE yoga mat is designed to withstand streneous exercises and vigorous workouts. It is comfortably thick at 5mm to cushion your spine and joints, yet firm enough for balancing poses. No more wobbly tree pose on spongy mats! Research has shown that if you own your own yoga mat, you are 3x more likely to commit to doing a yoga practice, so that you can begin your journey of healing and empowerment. 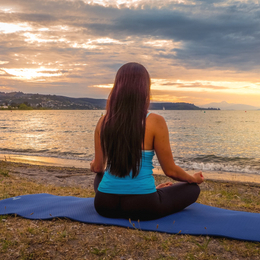 Take your yoga practice with you when you travel. Have peace of mind that you can destress whenever and wherever you like, comfortably and hygienically. Perfect for yogis on the go. 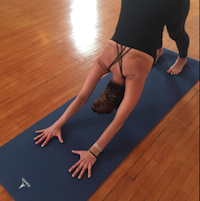 Practice on your own clean and fresh yoga mat instead of sharing studio mats. No more practicing on studio mats smelling of stale sweat and covered with other people’s germs. I love my Shantihi yoga mat as I see it as the catalyst towards creating change in my life. 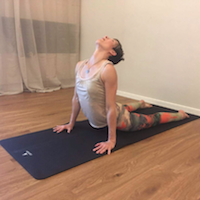 Whenever I feel a dark cloud creeping over me or even if I just feel unsettled, I roll out my mat, breathe in a restorative pose, and things are put into perspective again. Forever grateful. Super excited about this yoga mat! I ordered from Shantihi because I also have their hot yoga towel (which I love using too). The mat is comfortable and thick enough to support my poses, but still firm enough for balancing. Love that it is eco and body friendly too. Would highly recommend this mat and this brand to anyone! I can't tell you how grateful I am to have discovered yoga! I've been in terrible relationships, one after another and couldn't see my self worth until I started my yoga journey. I love what the brand represents. My Shantihi yoga mat greets me every morning and is now a permanent fixture in my morning routine. 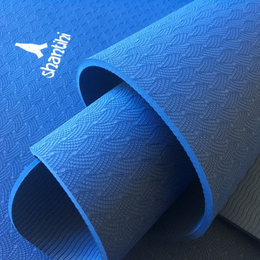 Try our Shantihi Yoga Mat out and if it doesn’t work for you, you’ll get your money back. No questions asked. There’s absolutely no-risk in giving it a try! HURRY! Claim your offer before stock runs out. Why are we giving this offer? How do I know this offer is legit? Shantihi Yoga Mat is only available from Amazon.com. You will be purchasing the yoga mats off Amazon.com, one of the most established and trusted e-commerce sites in the world. Hit the Get The 40% Code Now button and enter your name and email address to claim your code. Your code will be sent to the email you entered with instructions on how to redeem the code. You will then be directed to our Shantihi store on Amazon. Click on the yoga mat listing and apply the code when you make the purchase. A 40% off would make our Shantihi Yoga Mat $15.58. 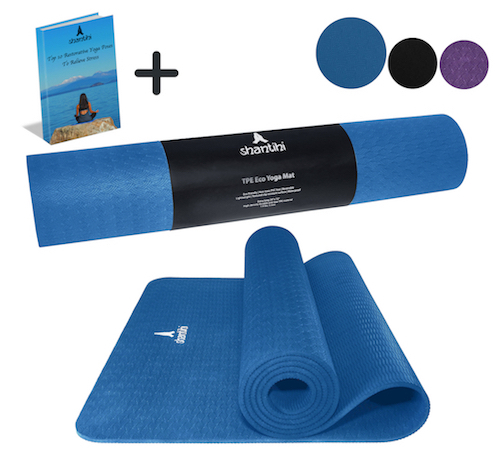 This offer is only available for the BLUE Shantihi Yoga Mat. Shipping is FREE if you are an Amazon Prime member or if your combined order is above $25. You can also combine your order with other items on Amazon that are eligible for free shipping. You will receive your product generally between 1 - 7 days depending on the shipping method you select. We go by our 100% yogi satisfaction guarantee and are quite confident that you will like our products. If you are for any reason unhappy with your Shantihi Yoga Mat, we will offer a 100% money back guarantee, no questions asked. My code isn't working. What should I do? In the unlikely event that your claim code isn’t working, please contact us at shantihiyoga@gmail.com. We will strive to fix the issue as quickly as possible. You're only one step away from getting your 40% off code. Just tell us where to send it!